Feed to Post, which is part of the Advanced Feeds Bundle is our most powerful and popular add-on. It imports feed items as WordPress Posts, or any other custom post type you might be using. Feed to Post add-on automatically populates your site with content from other sources. It can also be used to supplement your own content with the imported articles as posts. The posts then take after and adapt the look of your theme’s CSS or page builder. Import images, videos and other media. Use your own theme’s styling to display the posts. You can import and publish posts automatically. You can import into Drafts to review or make changes to the content before publishing. You can import into different post formats such as standard and video; if the post formats are available on your site. When setting the publish date you have the option to use the original publish date from the original source, keeping the content in sync with the original source. Set the date to be the time of import into your site. Use the general link back to source option to apply site-wide, or use the append/prepend to content feature to add any content you want (including images and videos) to the start or end of every imported post from a specific source. 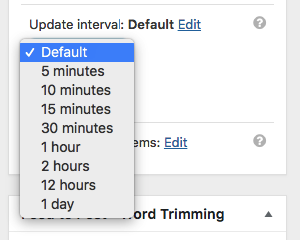 Not all sources need to be looking for new content every 15 minutes, which is why we provide you with the option to set each feed source to import at specific intervals. This ensures that your website’s performance remains at a good level. Set a fallback featured image to use for those posts that don’t have any images themselves. Assign categories and tags to posts automatically as they are imported. Apply this to all source, a specific source, or even specific posts from a source (based on keywords or phrases in the title and/or content). This option will allow you set the imported Feed Item’s author along with the content. Alternatively, you can assign any existing user on your site as the author for the imported posts. Using a Youtube RSS feed you can import videos from any channel or user directly into WordPress posts, creating a video feed anywhere across your WordPress site. Certain social media sites provide RSS feeds containing most of the content that you may want to import into your site. Subsidise existing content with social media feeds to keep your visitors intrigued. Limit or Trim the words in the content or excerpt to a certain number. 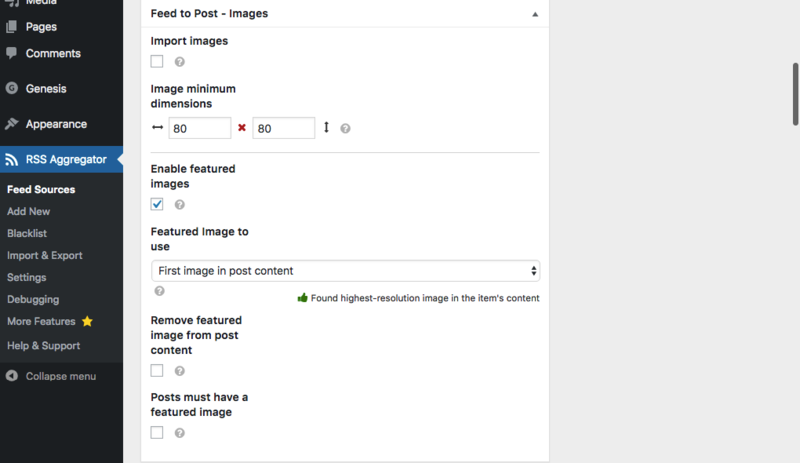 Remove unwanted material (content, images, etc) from the imported posts’ content before it gets to your site. Retrieve data from any RSS tag in feed items, then store it in a custom meta field in the imported posts.